Dexter Payne is a musical traveler who brings his listeners with him on the journey; he invites us into the heart of the music. 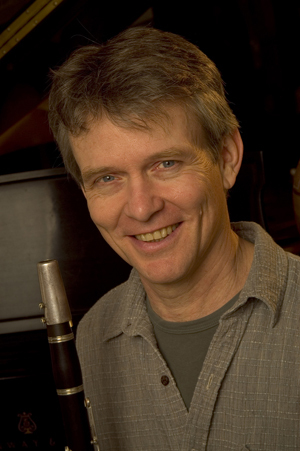 Voted among the top ten clarinetists in Downbeat Readers Polls in 2004 and 2006, Dexter lived and performed in 12 countries in Latin America, where he played and formed friendships with Thiago de Mello and the late Ruben Gonzales among others, recording in Brazil with Paulinho Tapajos and Beth Carvalho, as well as his solo debut with guitarist / composer, Antonio Mello, with organic percussion by Thiago de Mello. He performed coast to coast with the Big Sky Mudflaps and with his partner/collaborator, the late Judy Roderick, with repeat appearances on the NBC Today Show and Garrison Keillor's Prairie Home Companion. He has also toured, recorded and arranged for Afro-pop bands with Bola Abimbola, Mohamed Alidu, Moussa Konaté, Selassi Atiasi, Boubacar Diebate and with hip-hop latin jazz fusion project, Salem. Currently he is on the faculty of Naropa University, directing the Afro-pop Ensemble. Dexter has performed with Rene Marie, Mac Rebennack, Grammy winner Sharon Isbin, Thiago de Mello, Elio Reve, Cachaito, Noite Illustrada, Judy Roderick, Dave Van Ronk, the Big Sky Mudflaps, BarBQ Bob, Sammy Mayfield, Johnny Long, Lionel Young, Kailin Yong and more. Dexter performed with Thiago de Mello and Sharon Isbin at the 92nd St Y and Hamptons Music Festival, Mostra Internacional de Musica em Olinda (MIMO) in Pernambuco, Brazil, and most recently with Thiago de Mello and Ithamara Koorax, in NYC commemorating the 60th anniversary of the Universal Declaration of Human Rights. His three recordings with Grammy nominated composer, Thiago de Mello, feature vocalist Ithamara Koorax, four great pianists, including Helio Alves (Obrigado Brazil), and guitarist Romero Lubamba of Trio de Paz. Simultaneously, he is releasing a 24-year old recording of Judy Roderick & the Forbears, with special guest Mac Rebennack (aka Dr John). "Finally, a virtuoso musician who really hears the Brazilian whispers, and not just the carnival clamor." Learn the music industry secrets that most musicians will never know.